There's something a little different about these patients at one Kansas veterinary clinic - but they're all there for a very good reason. This week, the Fort Leavenworth Veterinary Treatment Facility, which normally cares for living, breathing pets, announced that it was temporarily expanding its services to cover new types of animals - namely the stuffed kind. 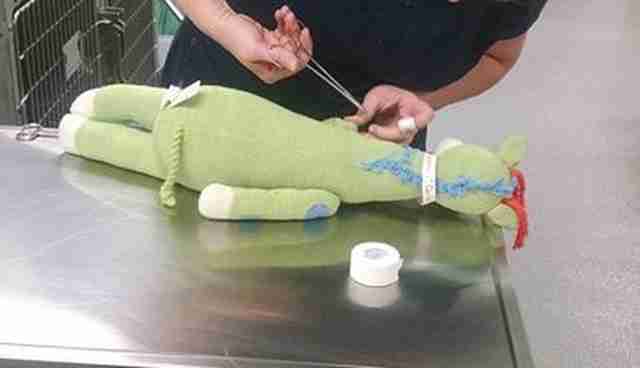 Children from the community were invited to bring in any injured animal dolls in need of repair so they could receive free "surgery" to make them whole again. With that, there was an influx of plush animals suddenly under the care of the clinic's technicians. Their injuries, like their species, were diverse, but it was nothing the surgeons couldn't handle. "We had about a dozen stuffed animal patients," Lynelle, from the clinic, told The Dodo. "We had an amputated arm reattached. We even had an organ donation - of eyes. 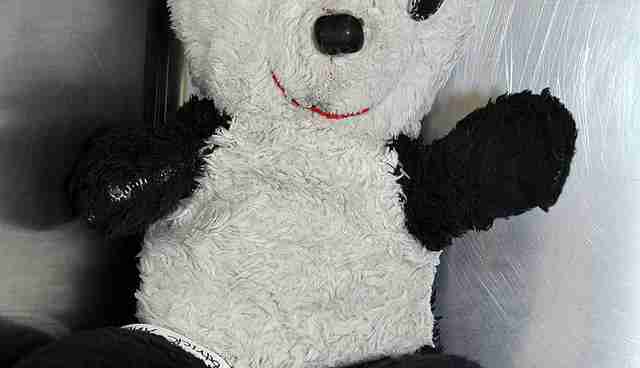 We sewed new buttons on the eyes of a panda bear." 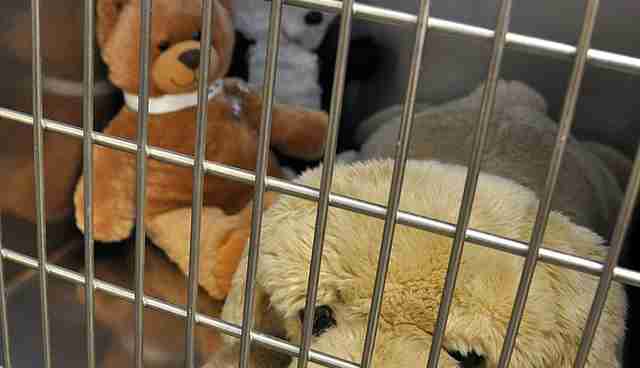 Sadly, many of the stuffed animals showed signs of abuse. Puncture wounds from dog bites were among the more common injuries. 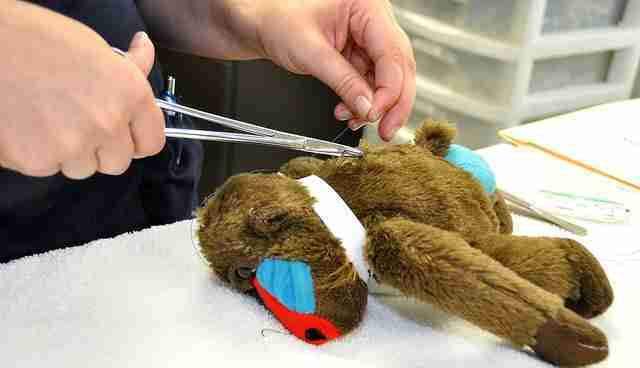 This so-called "Stuffed Animal Clinic" program wasn't merely a cute way to fix up kids' toys. The clinicians got some important experience out of it which, in turn, will help in dealing with actual animal patients. "It let our technicians practice their surgical skills," Lynelle said. 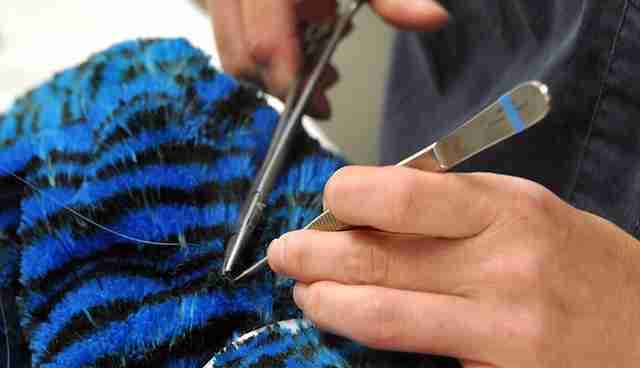 "They used actual surgical stitches and proper stitching technics to do it." All in all, it was a win-win-win for a good cause. "We enjoyed it and the kids enjoyed it too, and the animals got repaired," said Lynelle. And we're sure real pets in need of surgery in the future will appreciate the practice, too.